Bermuda enjoys an enviable position in the Atlantic, on the sailing routes between Europe, the US, and the Caribbean. 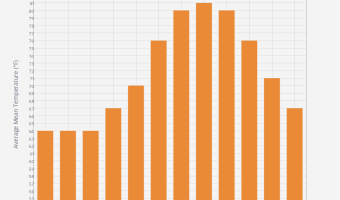 Although the total number of visitors sailing to Bermuda by yacht is small in comparison to the total number of arrivals, it is a growing and economically important sector of the island’s tourism industry. Until just a few years ago, Hamilton and St George were ports of call for the large cruise ships visiting the island. As the cruise ships have grown in size they have become too big for the approaches and docks at these ports. All the cruise ships visiting the island on a regular basis now call at Royal Naval Dockyard. As a direct consequence Hamilton and St George have repositioned themselves to cater to the yachting community. At St George, Bermuda Yacht Services have taken over the cruise ship terminal on Ordnance Island. They have transformed it into a facility to meet the needs of visiting yachts, in particular the lucrative super yachts. They can accommodate yachts of more than 300 feet and provide a wide range of services including refuelling, repair and maintenance, and concierge. The move has paid huge dividends. As word has spread amongst the yachting community, more and more boats are calling at St George. Notable callers have included Roman Abramovich’s Eclipse, Daniel Snyder’s Lady S, and the Jim Clark’s Athena. 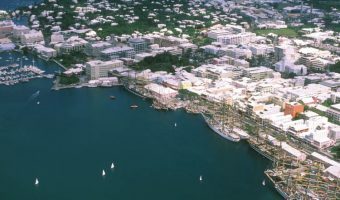 The success has prompted Bermuda Yacht Services to expand their operation and in 2013 they announced plans to build a new marina just east of Ordnance Island. Developments are underway in Hamilton too. In September 2012 the Green family purchased the Hamilton Princess. In May 2013 they announced a $70 million upgrade that would include a state-of-the-art marina. Government has also played its part in making the island a friendlier destination for visiting yachts and their crew. 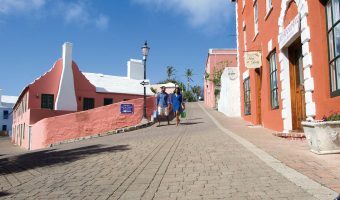 Recent changes in immigration laws mean that they can now stay in Bermuda for up to 3 months rather than just a few weeks. Detailed guidelines for sailing to Bermuda are beyond the scope of this website. One of the best sources of information is the Yachts (Private) Sailing to Bermuda factsheet, produced by the Bermuda Department of Tourism. It’s available for download from the Maps and Brochures section of their website. Visiting yachts are advised to submit details of their voyage, itinerary, crew etc. with RCC Bermuda prior to arrival. The information will be required in any case when contact is made on approaching Bermuda. Details can be submitted online. All vessels are required to contact Bermuda Radio (VHF Channel 16, 2182 kHz, 4125 kHz) when they are around 30 miles from Bermuda. All visiting yachts are required to obtain customs and immigration clearance in St George before proceeding elsewhere on the island. The clearance facility is situated on Ordnance Island. Passports are required to enter Bermuda. Nationals of many countries require visas. Visitors can remain in Bermuda for an initial period of 90 days. Passenger tax of $35 per person is charged (only children under 2 are exempt). Firearms of any kind (including spear guns) are not permitted in Bermuda. The captain should declare all firearms and ammunition to the Customs officer when he boards the vessel. The officer will then remove the any firearms and store them onshore and return them when the vessel leaves. Alternatively, he may allow them to remain on board but request they be sealed. Berthing facilities can be scarce when international yacht races such as the Newport Bermuda Race are taking place. Advance bookings are recommended during these times. Find out what your duty free allowances are, what you can and can’t bring, and the rules on prescription medicines.